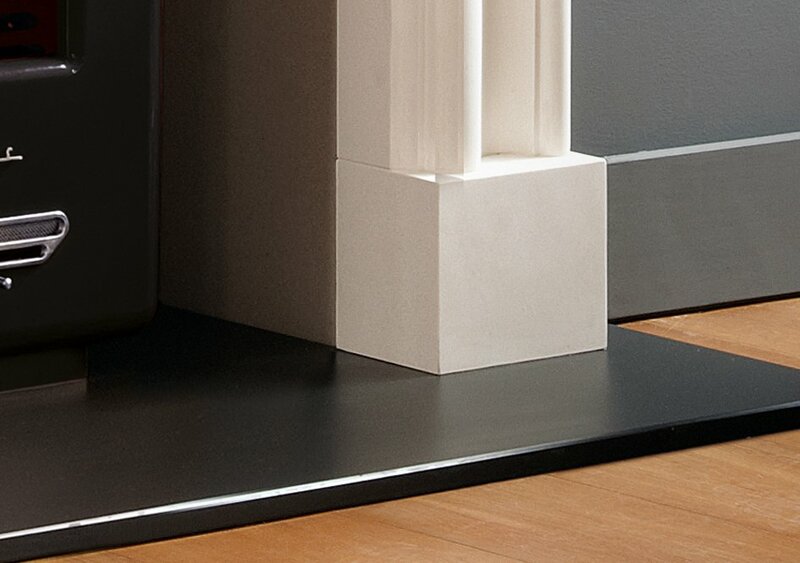 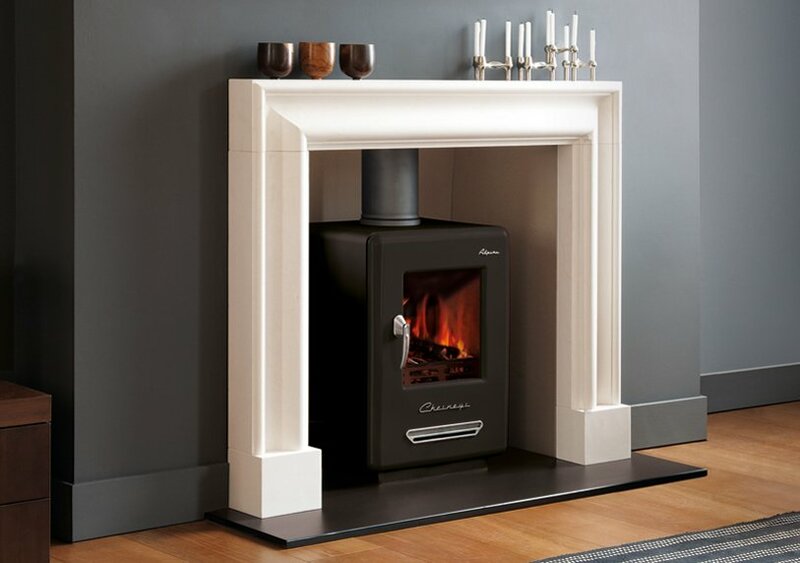 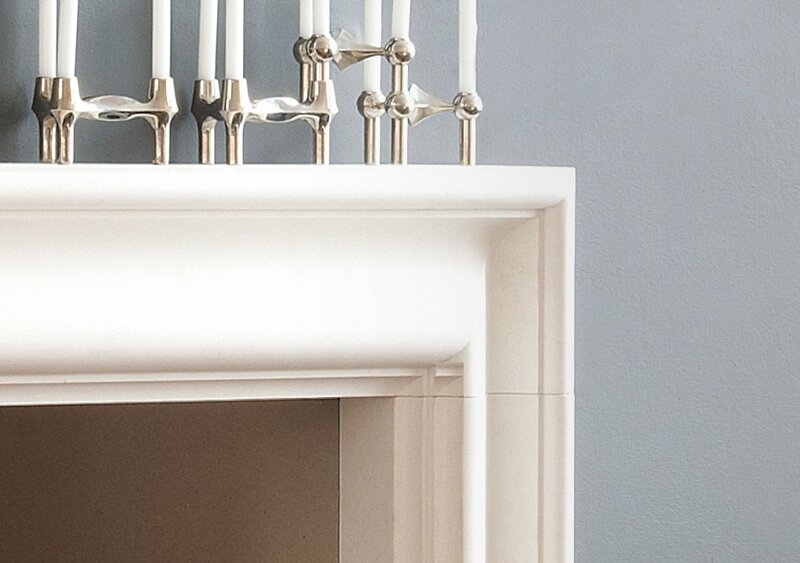 The Clandon Bolection frame is a traditional design with a contemporary feel. 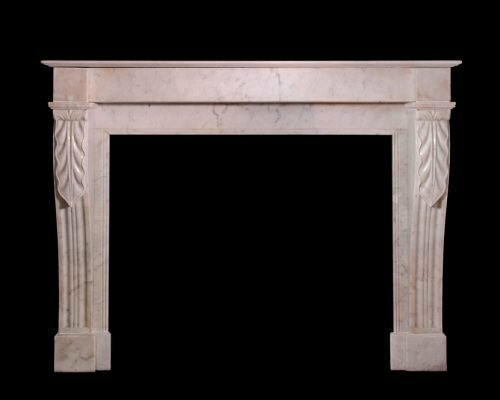 Carved in limestone it combines elegant proportions with soft architectural curves making it an ideal choice for contemporary interiors. 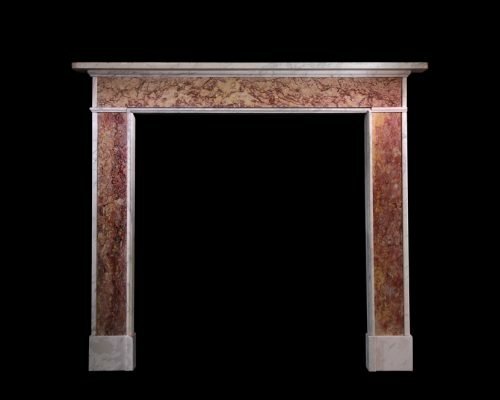 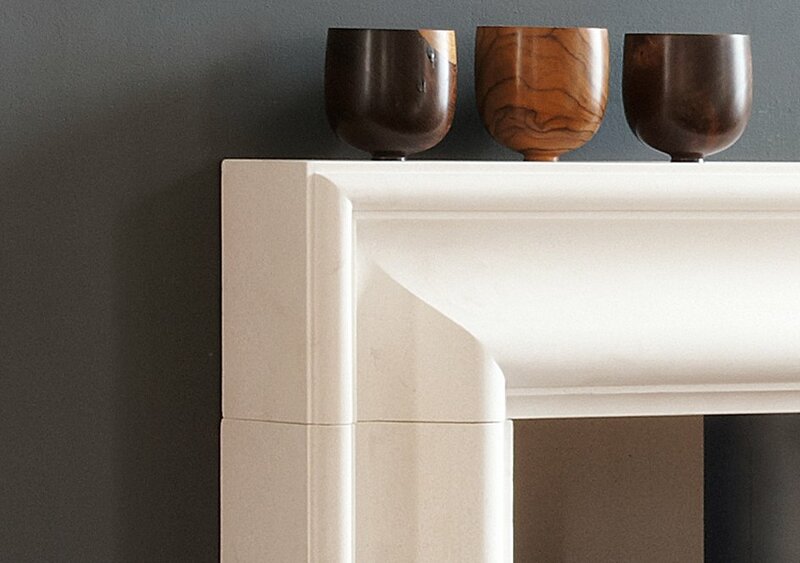 A 19th century French marble chimneypiece in carrara marble featuring console jambs decorated with acanthus leaves beneath plain corner blocks and frieze. 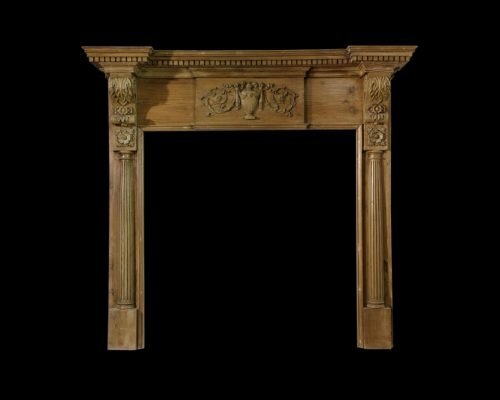 A good Georgian columned Pine chimneypiece with Gesso mounts depicting a Greek urn, swags and foliate detail and Acanthus leaf motif.